After graduating I managed to secure a two year research assistant position with an all-star team of academics consisting of Martin Stevens, Claire Spottiswoode and Jolyon Troscianko. 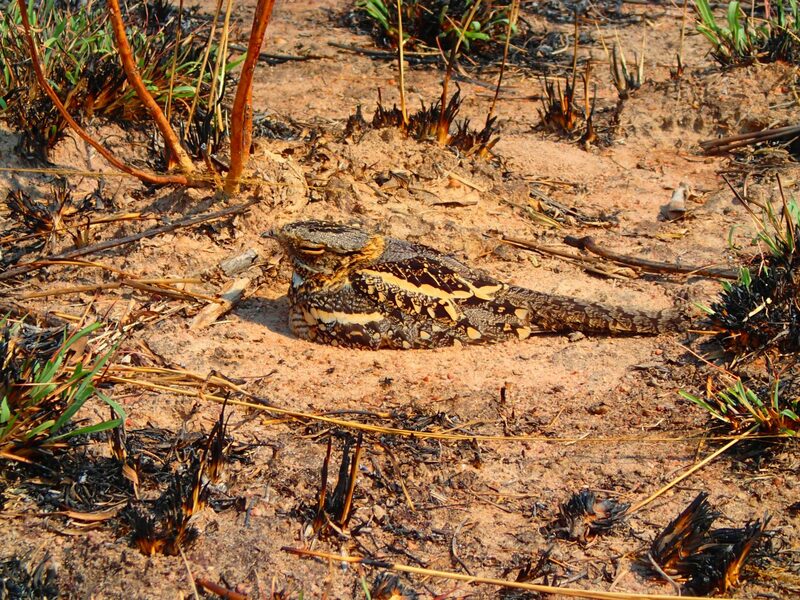 Under the alias ‘Project Nightjar’ we investigated the camouflage of wild ground nesting birds in Zambia. Below is a short documentary on our work courtesy of the BBSRC. Click the menu buttons above for more information, or visit our website. 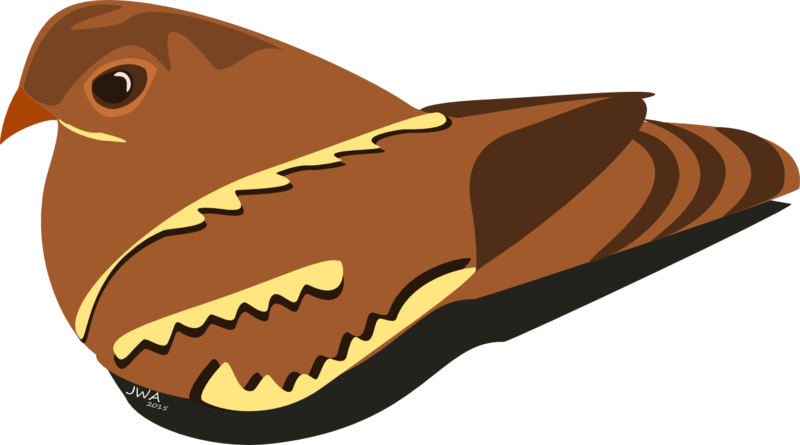 Camouflage is a text book example of natural selection with the long held assumption that camouflage protects animals from being eaten by their predators. Although this seems intuitive, quantifying camouflage and finding evidence for its effectiveness in a natural setting is difficult, therefore most research has involved artificial systems. We set out to study wild animals, modelling their camouflage to relevant predator visual systems in the hope to unlock the secrets of animal camouflage. There are several types of camouflage, but our work investigates one that is thought to be the most common in the animal kingdom, background matching; where an animal closely resembles the general characteristics of the background. Our study species include nightjars, plovers and coursers found in Zambia. These are ground nesting birds that nest in open environments and suffer high levels of nest predation from visual hunting predators. Nightjars are beautifully camouflaged birds that, when approached by a threat, will sit on their eggs until the very last second. 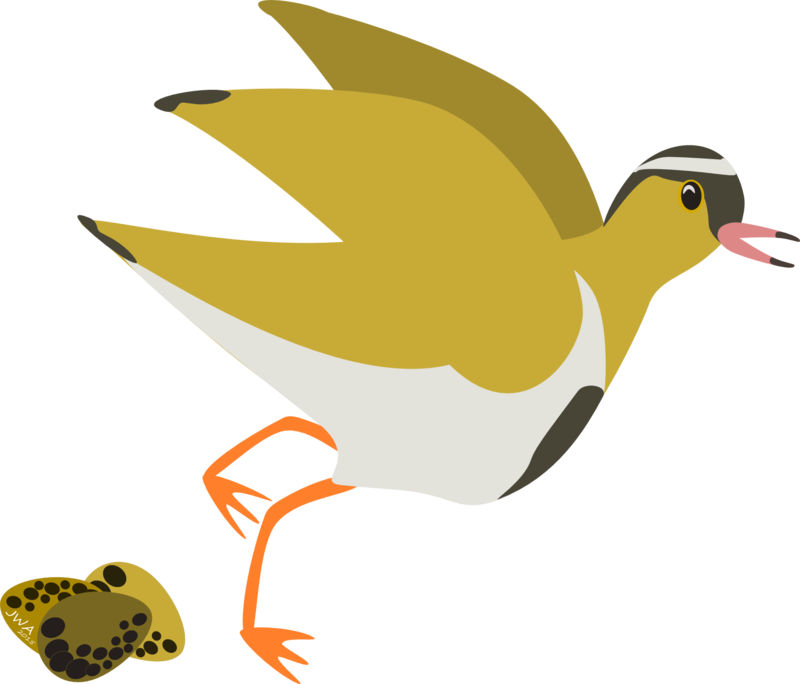 Plovers and coursers are not so camouflaged, but their eggs are thought to have cryptic colouration. 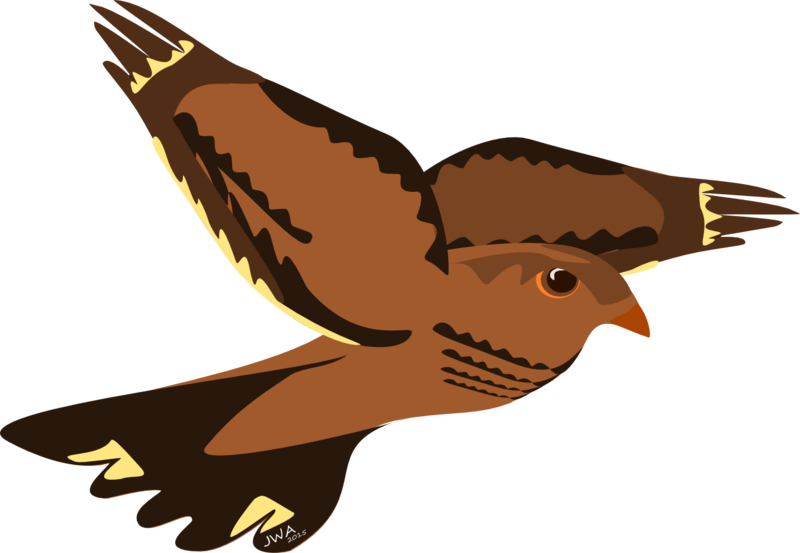 Unlike nightjars, the adults run away soon after spotting an approaching threat. These birds provide a perfect study system to investigate camouflage in the wild. Although hard to find, they are constrained to one location while nesting and this is for a short time so little change occurs in the visual background. 1. Does camouflage affect survival? 2. Can animals select sites that optimise their camouflage? 3. Can animals adapt their behaviour relative to their camouflage? Jolyon and myself were responsible for conducting the majority of field work. We used a field site in Choma, Zambia, set up by Claire for her work on. The field site is amazing with an awesome community of farmers that are extremely humble and welcoming. Not only this, but we had access to an army of farm labourers that would join us in our game of 'hide and seek'. 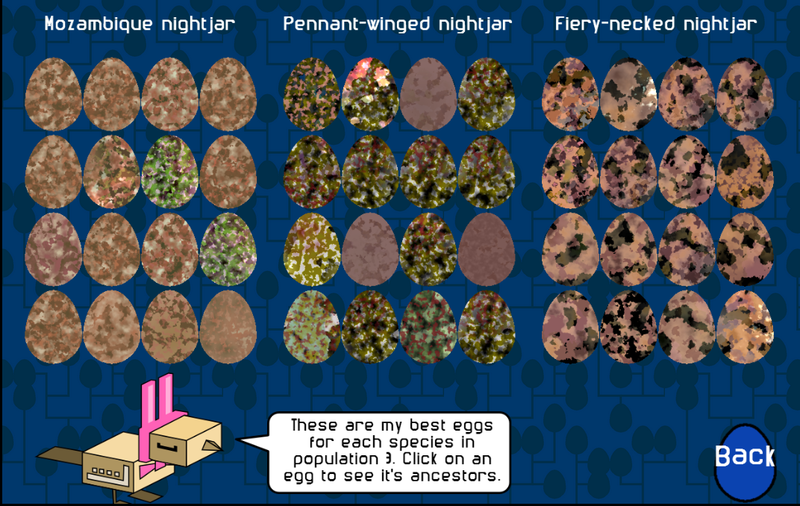 Once we found a nest, we used UV adapted cameras to photograph the eggs, adult nightjars and surrounding habitat. We monitored the nests survival and put out camera traps to identify the key nest predators. These included the vervet monkey, banded mongoose, genet and grey-headed bush shrike. Once back in the UK we converted photographs to predator vision and quantified various aspects of camouflage (colour, brightness and pattern) for both the adult birds, their eggs and the background. This then allowed us to calculate how well the animals matched their background. With hundreds of photographs at our disposal, we decided to make a series of citizen science games to investigate some additional hypotheses. In collaboration with David Griffiths. we developed 3 games that required players to release their inner predator and hunt for camouflage prey. Where is that nightjar? and Where is that nest? These two games are investigating whether or not there is any advantage to being a trichromatic predator (with three visual pigments) or a dichromatic predator (with two visual pigments) when detecting camouflage prey. This game is investigating what camouflage characteristics evolve on a single background (specialist strategy) and multiple backgrounds (generalist strategy). Birds and eggs with a better pattern or contrast match to the surrounding habitat are less likely to be eaten. Troscianko, J., J. Wilson-Aggarwal, M. Stevens, C. N. Spottiswoode. 2016. 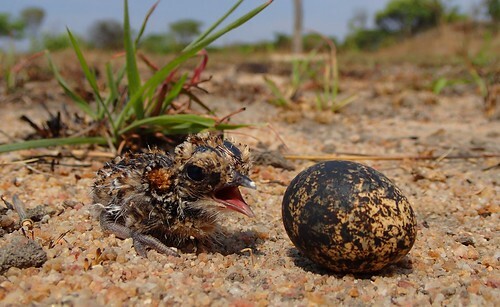 Camouflage predicts survival in ground-nesting birds. Scientific Reports. 6:19966. Birds can fine-tune anti-predatory behaviours by assessing their degree of camouflage and that of their eggs. Dichromats performed worse than trichromats in detecting camouflage prey but, under some viewing conditions dichromats had the advantage, with better learning rates than trichromats.